Views of the waterfall in Keila-Joa. 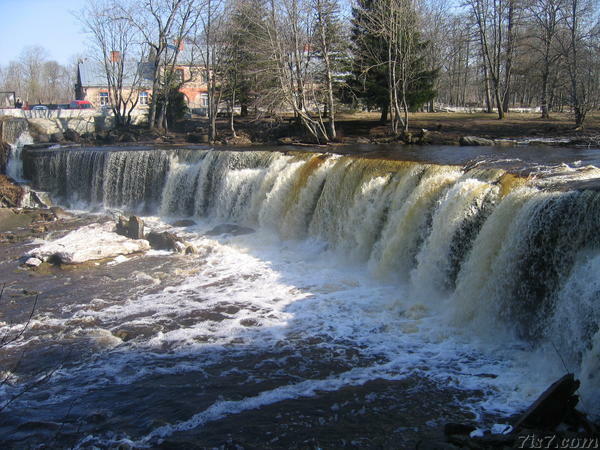 The waterfall is 6 meters high and 60 to 70 meters wide. 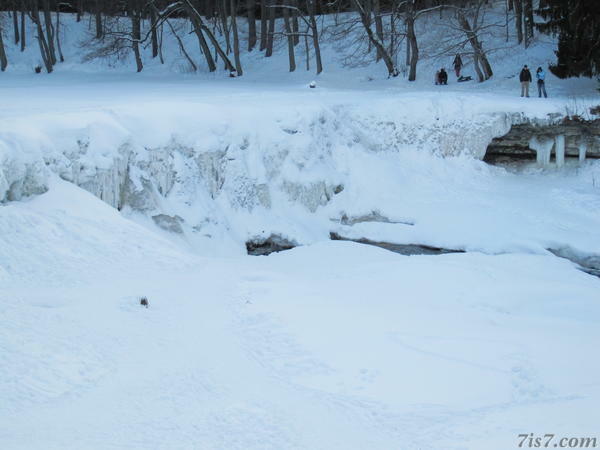 In winter the waterfall may freeze, letting just a small stream of ice cold water through under the ice. You can walk across the ice to the other side. 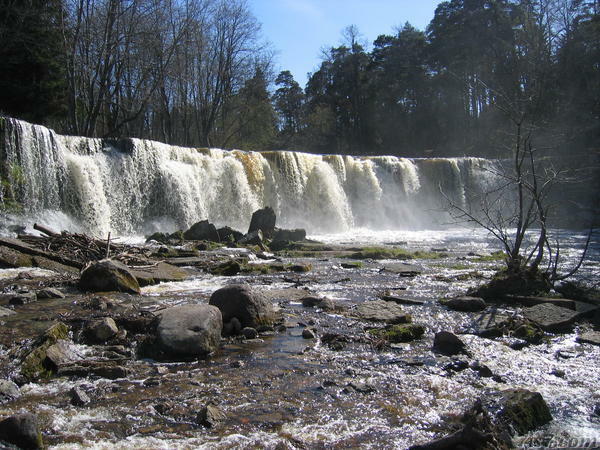 The Keila-Joa waterfall is the second largest waterfall in Estonia, the largest being Jagala-Juga. 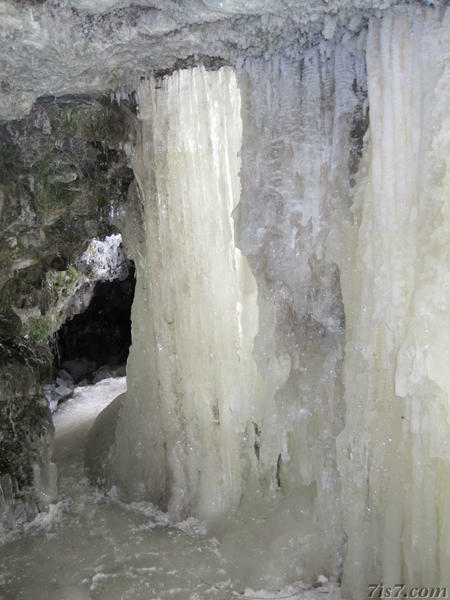 There is a close-up of an ice formation from the Keila-Joa waterfall available as a background image. Location: 59°23'44"N 24°17'41"E on: Google Maps, OpenStreetMap, Maa Amet.